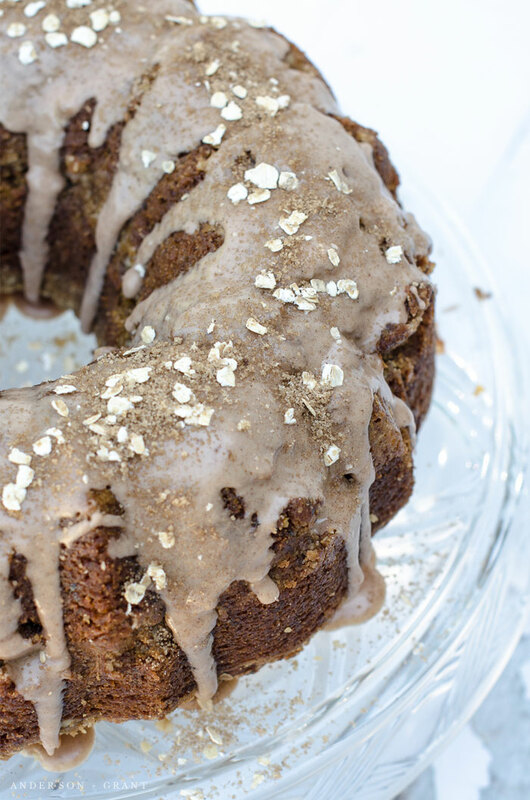 Need something quick for breakfast that is full of fall flavor? 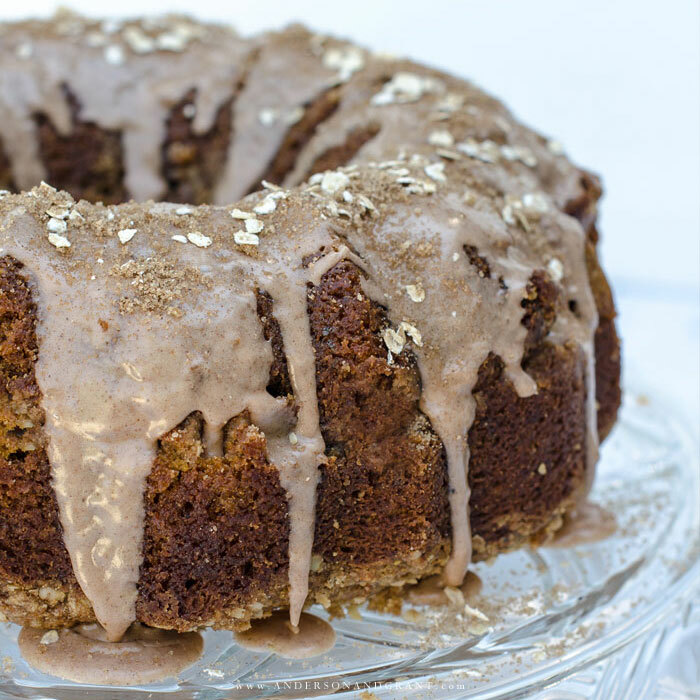 This Pumpkin Coffee Cake that is packed with the spices of the fall season can be made the night before and enjoyed for days after! With little time in the morning to prepare a big breakfast, I like to find recipes that can be prepared ahead of time. 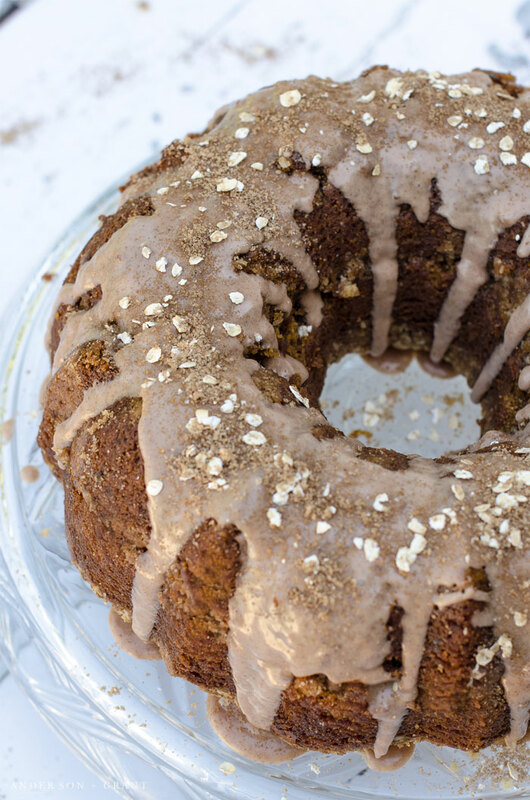 Coffee cake is always at the top of the list because its stays fresh and provides a "fancy" breakfast for a few days without a whole lot of work. As an added bonus, I feel like they can be served any time of the day when you need a quick sweet fix. Recipes that look like the baker took that extra little step in preparing them always catch my eye on Pinterest. 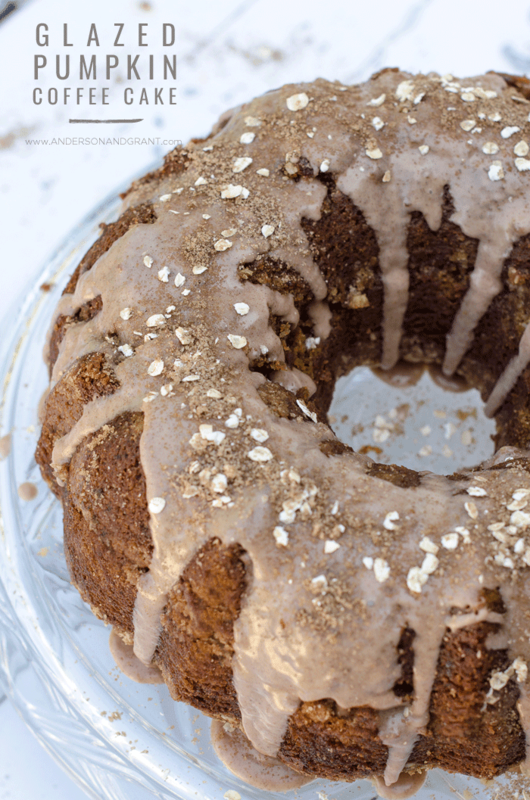 When I saw this one for Glazed Pumpkin Coffee Cake from Belle Vie, I knew it was one that I wanted to try for this year's Fall Baking Week. And believe me.....the taste and presentation didn't disappoint. I made a few small adjustments to the original recipe and ended up with perfection. Don't have any cake flour? cornstarch to the remaining cup. Preheat oven to 350 degrees. Thoroughly grease a bundt pan. You want the cake to be able to easily slide out when it is cool. Cream together the butter and sugars until smooth using an electric mixer. Beat in the eggs one at a time. Then mix in the milk, pumpkin, and vanilla. In a separate bowl, sift together the flours, spices, baking powder, and baking soda. Add these dry ingredients to the wet ingredients and mix until just combined. Sprinkle a half cup of the streusel on the bottom of the bundt pan. Pour in half of the cake batter and gently even it out over the streusel. Add a heavy layer of more streusel, reserving another half cup to add as the final layer. Pour in the rest of the batter over the streusel, spread it out, and then top with the remaining half cup of streusel. 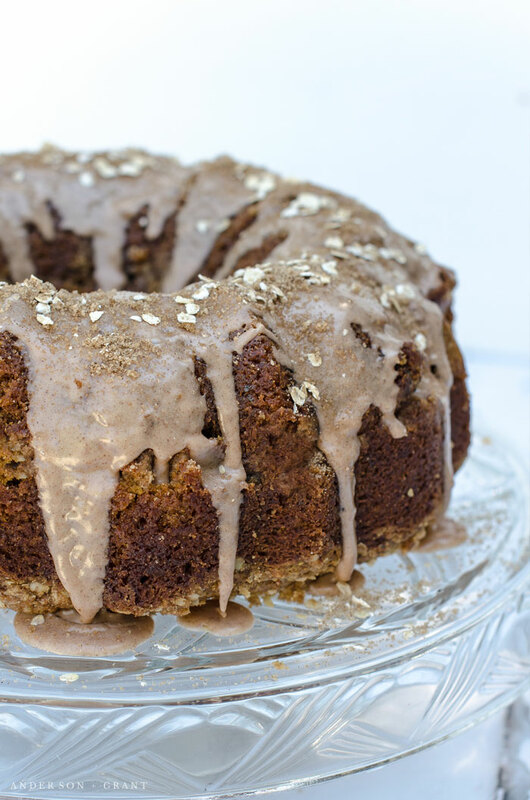 Bake the coffee cake in the 350 degree oven for 50 to 60 minutes or until a toothpick inserted into the center of the cake comes out clean. Allow the cake to cool completely on a wire rack. To make your glaze, whisk together the sugar, cinnamon, and one tablespoon of milk. Add up to one more tablespoon of milk to get the consistency that you want for the glaze. It needs to be liquid so that it can roll down the sides, but not so runny that it doesn't stick to the top of the cake. If you add too much milk, you can add a bit more powdered sugar to thicken the glaze. Use an offset spatula to gently release the cake away from the sides of the bundt pan. Turn it out onto your serving dish and top the cake with the glaze. 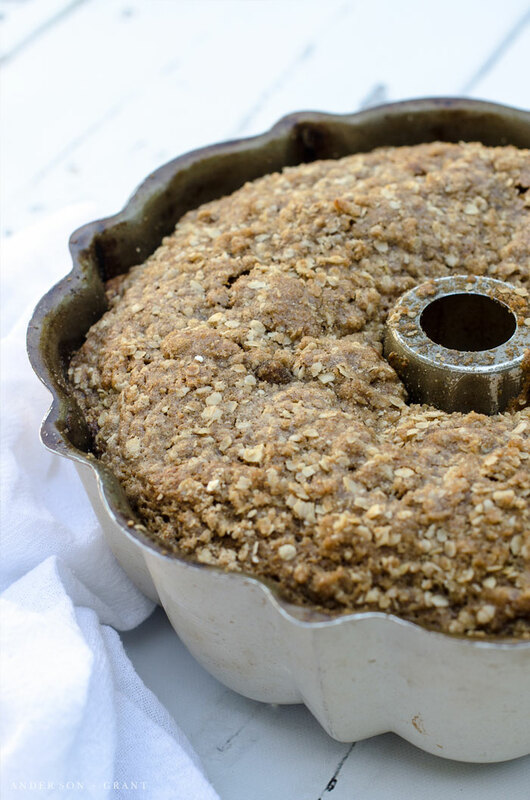 While the glaze is still wet, sprinkle the 2 tablespoons of topping that you reserved when making the streusel over the top of the cake. 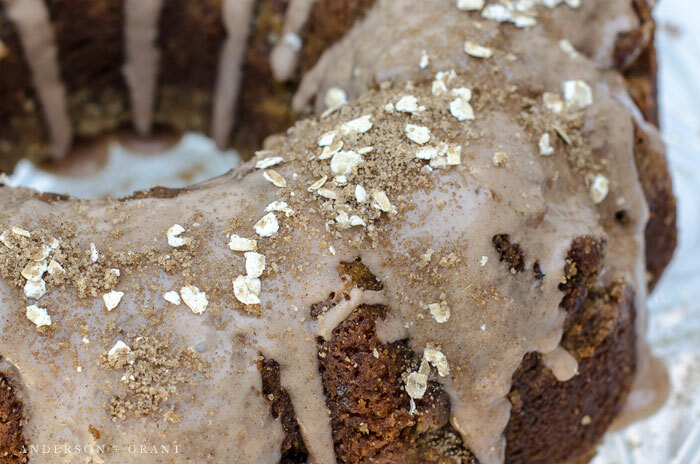 Slice off a piece of the Glazed Pumpkin Coffee Cake, grab your fork, and dig in! This cake is so delicious for breakfast in the morning, but also makes a wonderful dessert to serve to guests after dinner. Needless to say, there shouldn't be any leftovers to store!